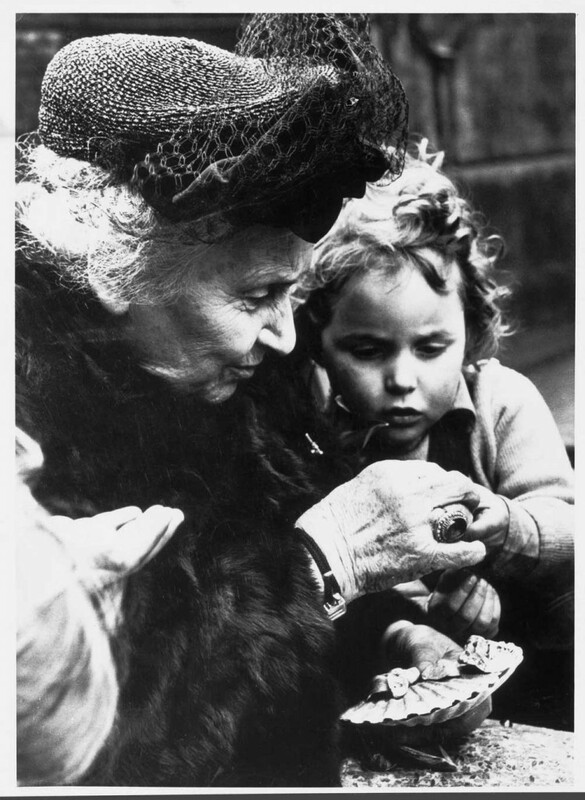 Connection between Maria Montessori and Lingua Più. Maria Montessori was born in Chiaravalle (Ancona) in 1870. She was the first Italian woman to graduate in medicine and among the stronger supporter of women’s emancipation. Born in a middle-class family, she spent her childhood and adolescence in Rome, where she began scientific studies against her parents’ wishes, who would like her to follow a teaching career. Thanks to her persistence, Maria Montessori entered to the Faculty of Medicine and Surgery at University “La Sapienza” in Rome, where she graduated in 1896. The first steps of her career were with children with psychic problems during which she had the certainty that many of those “problems” were due to a wrong pedagogical approach rather than a medical illness. In 1907 she obtained the management of a kindergarten in the San Lorenzo area, in Rome. The first “Casa dei Bambini” was established. A place where the method started, thanks to the scientific background and experience accumulate during the previous year; the same method that is still used and applied in all Montessori schools, all over the world. “Il Metodo della Pedagogia Scientifica”, a book written and published in Città di Castello during her first specialization course for teachers (1909), was translated and adopted all over the world, with great enthusiasm: for the first time a different and positive vision of the child was presented, the best way to foster child’s spontaneous development was shown and the child’s attitude to learning was demonstrated. Such results never verified, or even imagined before. Another interesting activity offered to worldwide public opinion was the possibility to observe a group of children working freely in different tasks they chose, in a calm and collaborative environment. 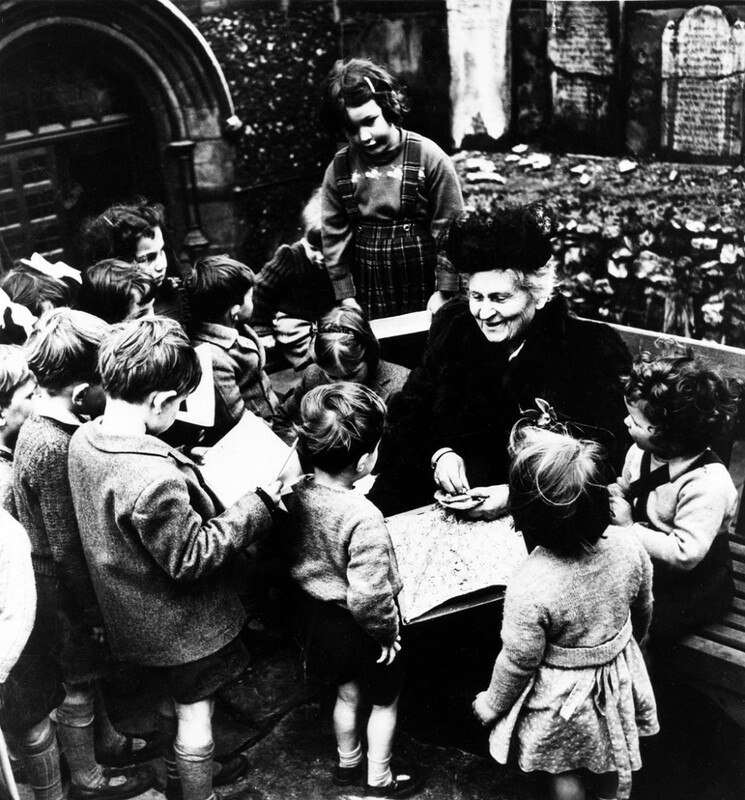 This unexpected success changed deeply Maria Montessori’s life, She started to travel all over the world, where many of her schools were founded and developed and where the teachers’ training was very important. Teacher’s ability not to interfere, comes with practice, like everything, but it does not happen easily. The Baroness Alice Hallgarten Franchetti has been described as a humble and kind woman, who lived her life with the only aim of helping people, following the example of her favourite saint: Saint Francis from Assisi, despite her not being catholic. An American lady with German parents who travelled all over Europe learning how to dedicate her life to help others. She married Leopoldo Franchetti (1847-1917), a noble Jewish man, senator in The Collegium of Città di Castello. Alice put a lot of effort into many social activities to help the poor people in Città di Castello: she used to visit sick and poor people, offering words of wisdom and charitable activities. In the early 1900s, she founded primary schools in the countryside, in her own Villa Montesca and in Rovigliano, a small village near Villa Montesca. All schools were free for poor farmers’ children. Barons Franchetti founded and financed several kindergartens. When Baroness Alice met the pedagogist Maria Montessori, the Franchettis decided to ask her to hold the first Training course on Scientific Pedagogy for teachers at Villa Montesca where they set up a “Casa dei Bambini”. In the school “Casa dei Bambini” at Villa Montesca expert teachers, directors and experts children educators worked. Maria Montessori lived at Villa Montesca for 2 years where she developed her methodology. At Villa Montesca, Alice Franchetti founded a summer residence, “Casa delle Maestre”, for poor teachers from all over Europe. The Franchettis financed the publication of Maria Montessori’s previously mentioned book, the “Method”,that initially had the joint name Franchetti – Montessori, until the fascist regime ordered the cancellation of the Baroness’ Jewish name from it. Maria Montessori did not like that her philosophy was called the “Method”, because she said that it was not something that was invented, but just something she discovered from her experience. To better answer we will quote Dott.Montessori’s words: “..inside the “houses” you cannot see the “method”, but simply you see each child to be how he really is and not how society forces him to be”. This is the same for the application with languages, both with children and adults . For this reason, Città di Castello and Lingua Più is the ideal place to study and apply such an effective method, the Montessori Method, also with languages. What other place but Città di Castello and Lingua Più to promote the Montessori Method and make it more available to everyone? A challenge that Lingua Più has been accepting and conducting with abnegation and success, which, between 2012 and 2014, resulted in 2 important European projects: FROJOL e MMLT.